Wrap baby in 100% OE certified organic cotton carriers that offers the same Moby softness and support. Available in a vast selection of solids & designs! 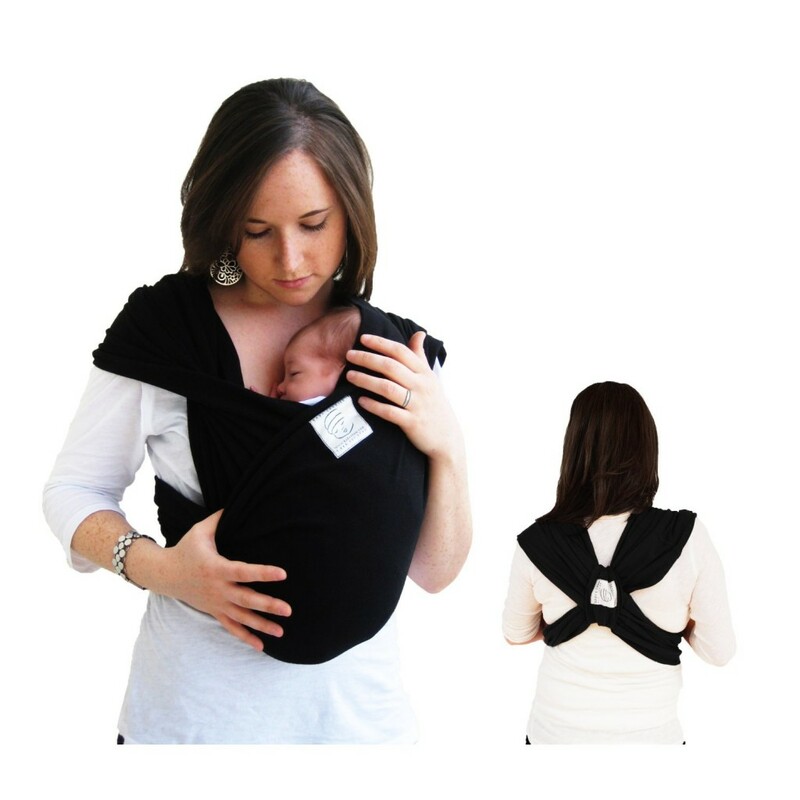 The Moby Wrap is designed to use your entire back, as well as your shoulders, to carry the weight of your baby. Unlike other carriers, which have narrow straps or go across one shoulder, the Moby Wrap is a wide piece of durable fabric that is wrapped over both shoulders (the Moby Wrap is 5.5 meters in length). It is amazingly comfortable and easy to wear. There are no buckles, snaps or other fasteners (that may break or bend). It is easy to adjust the fit of your Moby Wrap by varying how tightly you wrap yourself and baby. Moby Wraps are one size which means all caregivers can easily and comfortably share one wrap. Moby Wraps are the optimal baby carrier for infants. Parents of newborns have found that skin-to-skin contact with their infants, which can be easily achieved while wearing a Moby Wrap, leads to faster regaining of birth weight. The durable fabric and generous length of Moby Wraps are design characteristics intended to adapt to your growing baby. The fabric can securely and comfortably hold babies up to 35 lbs. In a Moby Wrap, baby is secured by three sections of fabric for triple wrapped security. A Moby Wrap’s one-way stretch cotton and wide width ensure that your baby is held close and tight. When sleeping, the back of your baby’s head can also be secured under the cotton fabric for added safety. You can finally have both hands free and know your baby is safe and secure. Each Moby Wrap comes with an easy to follow full-color instructional booklet containing wrapping instructions and safety information. Moby Wraps do not put a lot of extra material or bulky padding between you and your baby. Your baby can hear your heartbeat and find comfort in the warmth of your body within the cuddly confines of a Moby Wrap.